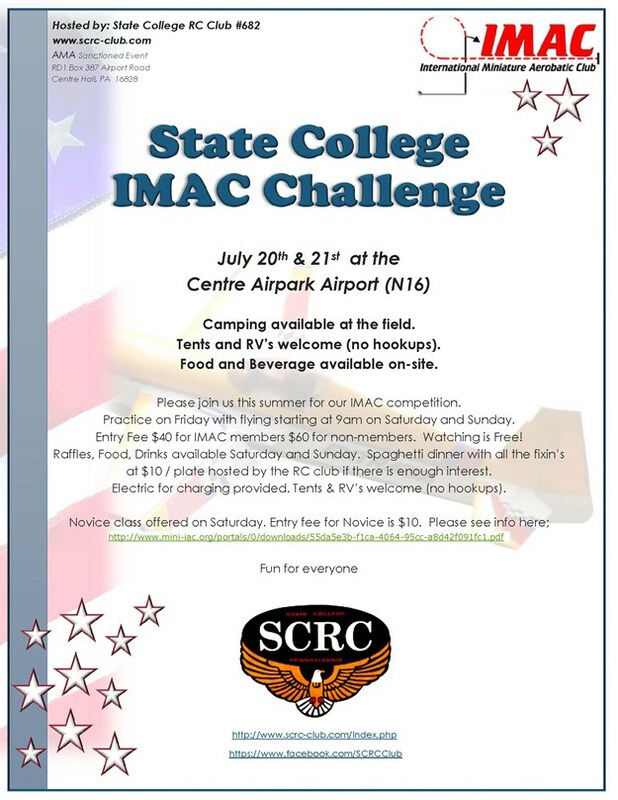 State College, PA IMAC Challenge June 20th & 21st 2019. Of interest to members of our club and others in the area might be the all new NOVICE class offered by IMAC. This class gives a way for interested pilots to “test the waters” and have access to all the expertise at the field on the day of the event. It only costs $10 to register and pilots flying as a novice need no membership other than AMA. They fly on Saturday only and have access to all the help they want from the experts. Their flights are actually scored and feedback is offered. It’s a great opportunity to create interest into scale aerobatics!